The private blending is the most exclusive experience we host here at Bennett Lane. 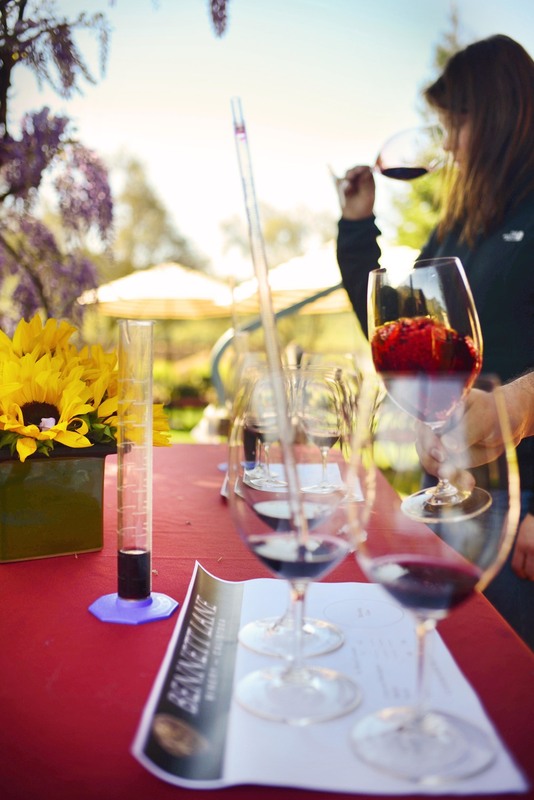 It features a vineyard tour and a sensory evaluation seminar focused on Cabernet, Merlot and Syrah—the principal components in Bennett Lane’s signature red Maximus blend —followed by a custom blending experience and cheese pairing. During the blending you will blend your own bottle of Maximus Red Feasting Wine using the same lab techniques and equipment a wine maker would use. Once you have your blend finalized you will: bottle, cork, foil, and label your own individual bottles (one per person). After you blend your wine you will get to sit down with a glass of your blend and enjoy a custom cheese plate we will have waiting. The experience is capped off by a private reserve wine tasting. The whole experience takes about 2 - 3 hours depending upon the speed of the group. This experience costs $225 per person, or for groups of 6 or more, the price is $175 per person due to setup, exclusivity, and the materials involved. If you would like to book a private blending experience please fill out the form below and we will reach out to you for confirmation. If you have any questions or just want to book over the phone please call 707.942.6684 and tell us you would like to book a private blending experience. We look forward to hosting you! What type of wines do you drink: White only, Mixed Varietal, Red Mixed Varietal, Cab only, Reserve Cab only? Please choose one.